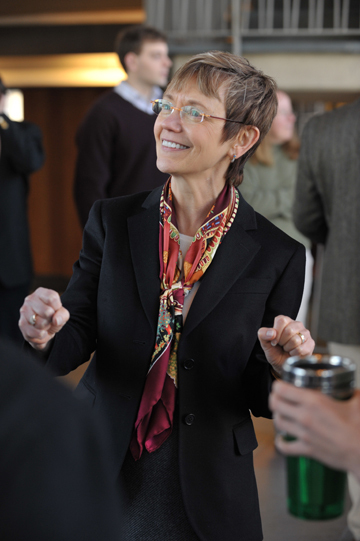 Rebecca Chopp has been president of Colgate University since 2002. Chopp and her husband, Fred Thibodeau, met the faculty and staff and some students at an informal reception. • Married to Fred Thibodeau, a former fundraiser in higher education and also an ordained Methodist minister who has served a parish in Hamilton, N.Y. He plans to retire in June 2009. • Children: Chopp’s son Nate is 32. Thibodeau has two sons, Matt (35) and Mike (30). • Chopp is an avid reader of “fiction, philosophy, history, and biographies.” She loves to hike and works out “at least six days a week.” Her guilty pleasures: an occasional Hostess Snowball and ice cream. 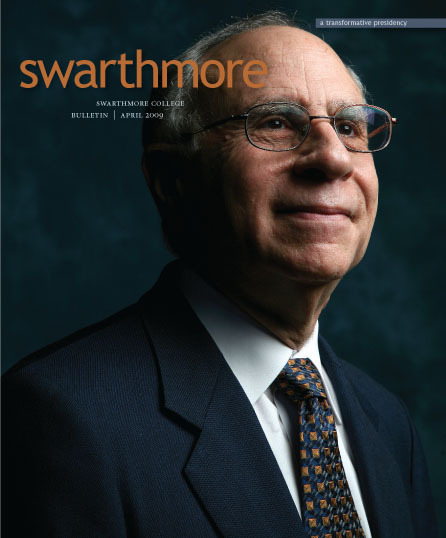 • Thibodeau plans to become involved in a church in the Swarthmore community. Chopp is looking forward to visiting the Friends Meeting House on campus. To learn more about President-designate Chopp and watch her first public address on campus, visit www.swarthmore.edu/newpresident. 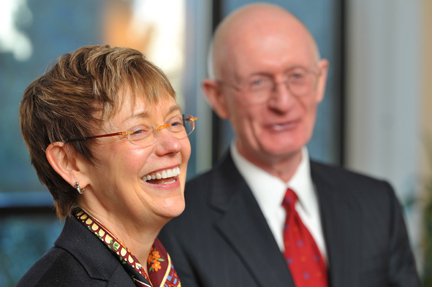 Breadth and Depth: How the Search Committee Found Rebecca Chopp.